Forget the cheesy fedoras and femme fatales for a moment. 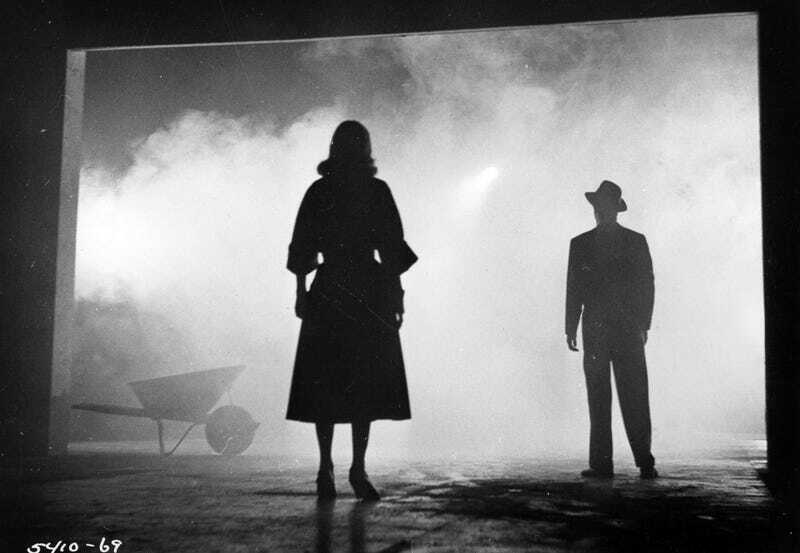 Film noir was, at its heart, about light and shadow, hope and despair, good and evil...and the difficulty of distinguishing everything in between. For this week's Shooting Challenge, rediscover noir. Capture a photo in the film noir style. That means black and white with low-key lighting. Does it mean detectives and dames? Not necessarily. Go for the feeling and the tone, first and foremost. If film noir is known for anything, it's low-key lighting. All this term means is, rather than evenly light a scene with a number of bulbs, one light fires from one angle only. This creates deep shadows where traditional wisdom would advise you fill the dark pools with another light. Of course, you don't need to light your scene with a single light in a literal sense. Just go for strong whites and deep blacks - high contrast. For this sort of lighting, I really dug this simple tutorial that shows how a single light can work with a figure. Our lead photo is from one of the earliest and most iconic examples of film noir, 1955's The Big Combo. Note its lack of texture, even within the smoke in this case. This frame is all about shape and contrast, figures and a disquieting frame within the frame. Send your best photo by Monday, August 15th at 8AM Eastern to contests@gizmodo.com with "Noir" in the subject line. Save your files as JPGs, and use a FirstnameLastnameNoir.jpg (970px wide) and FirstnameLastnameNoirWallpaper.jpg (2560px wide) naming conventions. Include your shooting summary (camera, lens, ISO, etc) in the body of the email along with a story of the shot in a few sentences. And don't skip this story part because it's often the most enjoyable part for us all beyond the shot itself!